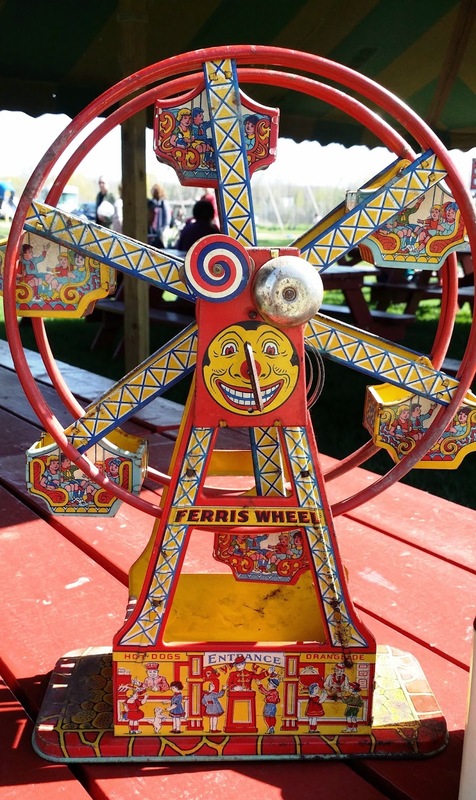 Made of lithographed tin by the J. Chein Company of New Jersey in the 1930s, this ferris wheel became one of the long-lived firm's most classic and collectible toys. 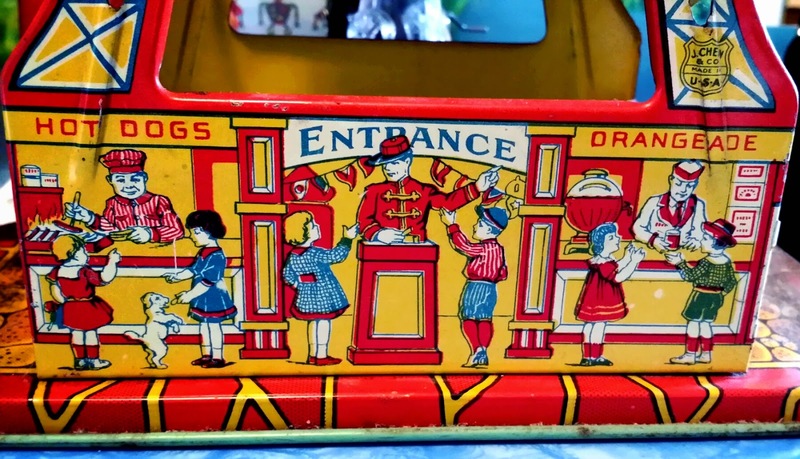 Its design evolved over several decades, with different images on the base, including a version with Disney characters made in the 1950s. 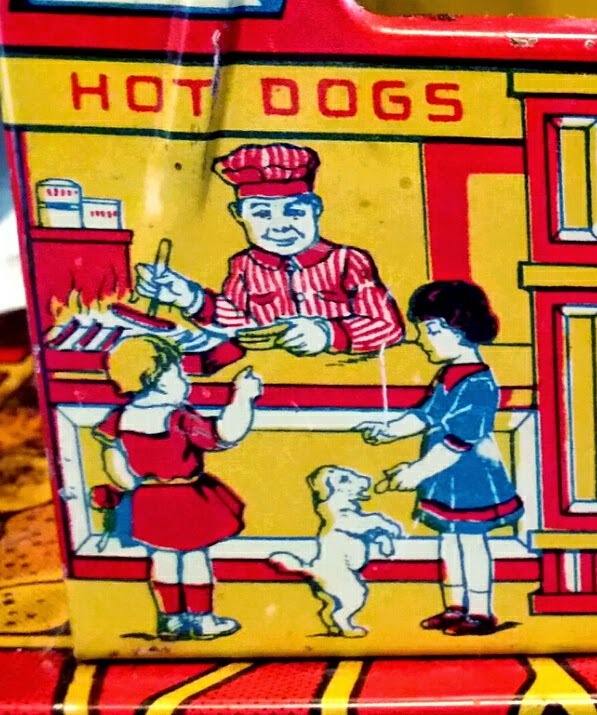 This earliest example has wonderful illustrations of a carnival sideshow on the end panels, and Orangeade and hot dog vendors on the front and back. 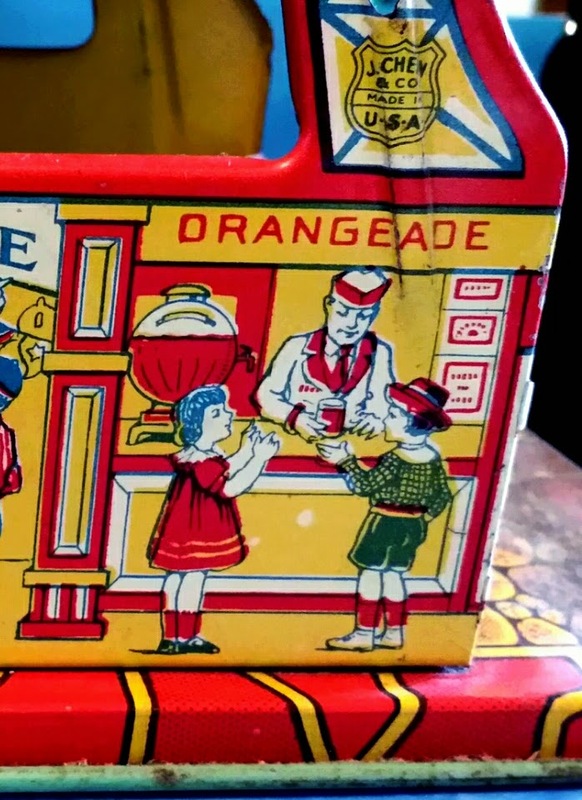 Note the Orangeade in its iconic globe dispenser. 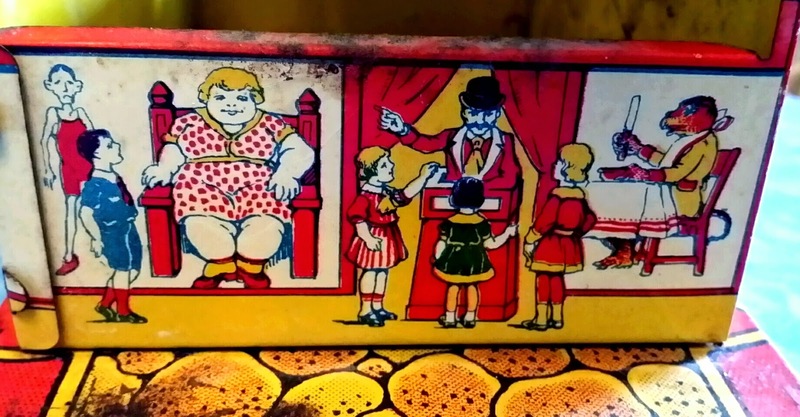 The sideshow talker has a somewhat sinister air. 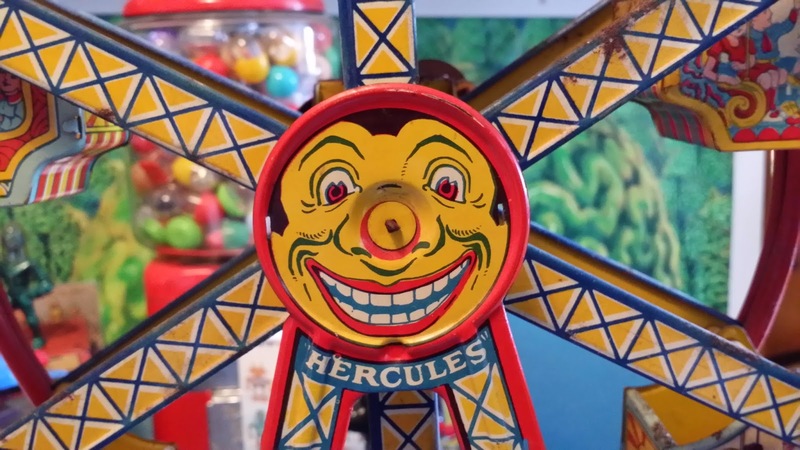 The smiling face in the wheel's center bears the name "Hercules," and this toy is sometimes referred to as the Hercules Ferris Wheel. It is often found with the mechanism and bell missing, which is unsurprising after hearing how loud it is in operation. I imagine a lot of exasperated parents yanked the bell off after a few days of its ceaseless racket. 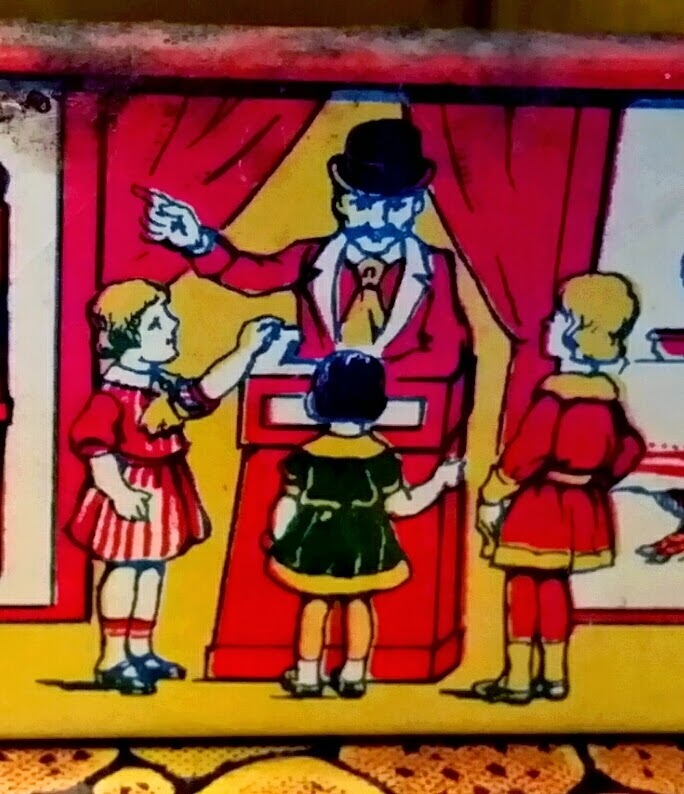 If you find one in working order, you've found a treasure.